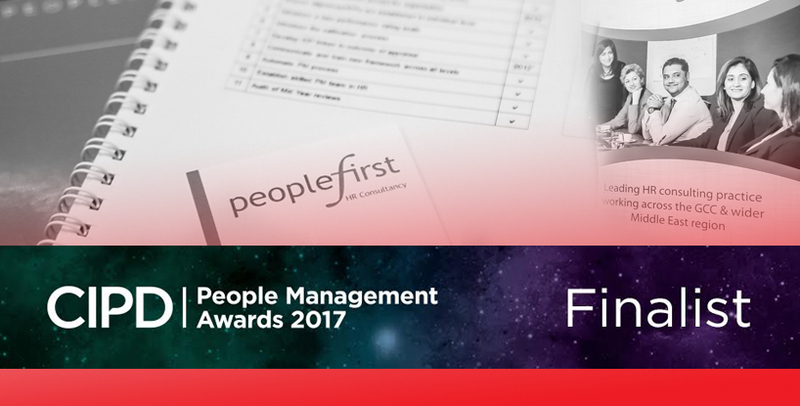 We are delighted to announce that PeopleFirst HR Consultancy has been shortlisted as a Finalist for Best HR/L&D Consultancy in this year’s CIPD People Management Awards. The CIPD People Management Awards are the most prestigious awards in the HR industry and are considered to be the “Oscars” of the HR profession. The Award rewards and celebrates the outstanding achievement in people management and development, honouring the valuable contribution that HR and L&D professionals make to the success of an organisation. Our entry “Project Runway” describes a project undertaken for a high-profile client based in the Sultanate of Oman and is linked to the largest capital investment project ever undertaken in the Sultanate. The strategic impact of the project will contribute to the development of the Tourism and Logistics sectors in Oman which are poised to become key economic drivers for the Sultanate. As part of the final evaluation process, our team has been invited to London to present to a panel of elite judges who will scrutinise our submission and question our team along with our client, giving us an opportunity to bring our written entry to life. The winners will be announced on 26th September 2017. PeopleFirst is honoured to be recognised by our peers and have our fingers crossed for the results.